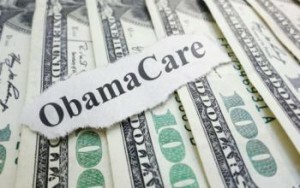 The main takeaway from the Congressional Budget Office’s (CBO) comprehensive estimate of the effects of the Affordable Care Act (ACA) is “repealing the ACA would increase Gross Domestic Product (GDP) by about 0.7 percent in the 2021-2025 period, mostly because provisions of the law that are expected to reduce the supply of labor would be repealed,” says senior fellow John Graham of the National Center for Policy Analysis. CBO concludes repeal would increase federal budget deficits. This effect is much smaller than previous estimates, because this is the first time CBO has used so-called “dynamic scoring,” taking macroeconomic effects of repeal into account, instead of just a simple static bookkeeping type of estimate. If we exclude the effects of macroeconomic feedback — as has been done for previous estimates related to ACA — and most other CBO cost estimates, CBO and the Joint Committee on Taxation (JCT) estimate federal deficits would increase by $353 billion over the 2016-25 period if ACA is repealed. CBO also misreports the number of people who would become uninsured as 24 million. Actually, it would be 10 million, because CBO includes 14 million who are on Medicaid as a result of Obamacare as losing health insurance. In fact, they would lose access to a welfare program.